Graceland Bounce is ready to bring the "FUN" to your event, party, or celebration. Don't let the young ones miss out on all the fun! 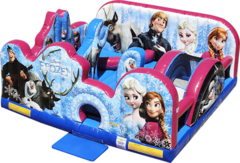 Treat them by renting one our our Top Quality Toddler Bounce Houses that are up for rent all over Jesup, Ludowici, Hinesville, Fort Stewart and Surrounding. 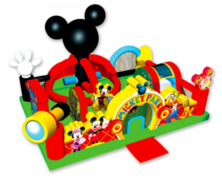 These toddler inflatables are made specifically for young children ages 1 up to 6 with anti-heating leather, and built so that they can climb its stairs, get through small spaces and mostly enjoy the bounce house at its fullest. These are sure to delight! Browse the selections below and click on the title or image for more information and to make a reservation.